I don’t know if I’m in a creative rut, or the cold weather is just getting to me, but I’m looking back on my recent posts and the majority of them are chocolates. Nearly all of them, to be precise. Part of me wants to apologize because this is a food blog and variety is important and yadda yadda and the rest of me wants to blame February and claim SAD made me do it, because we all know the only cure for a fake case of seasonal affective disorder is a whole lot of chocolate. 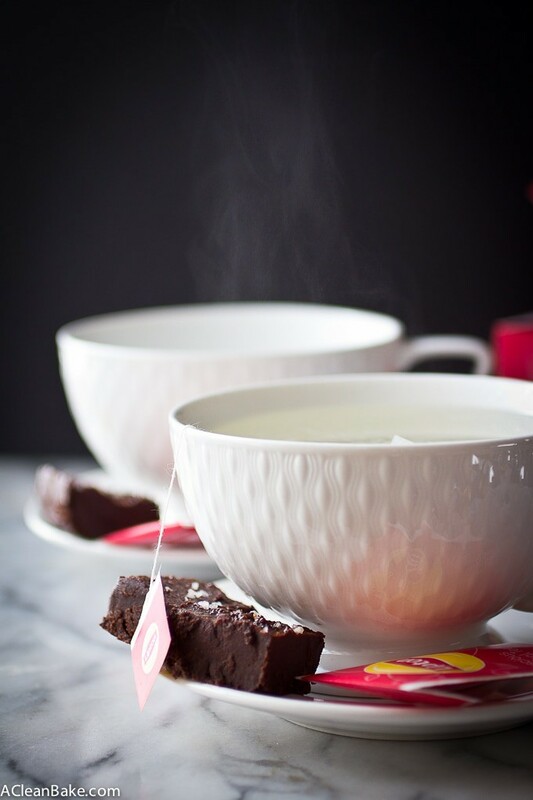 Either way, I wish I could say this is my last chocolate recipe for you for awhile, but that’s probably a lie and I wouldn’t have it any other way. I just can’t really bring myself to eat lots of fruity desserts in the winter, unless they are enrobed in or slathered with a generous serving of dark chocolate. This is, however, the last of the snack series, though this one can be loosely interpreted as a snack (healthy, satiating fat! low sugar!) 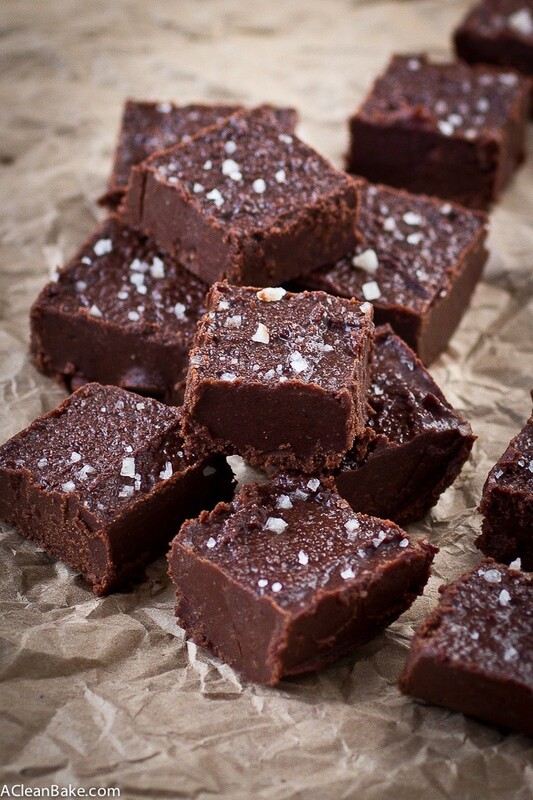 or dessert (fudge. ’nuff said. ), or somewhere in the nebulous area that straddles both definitions. Either way, do it. Why? Here’s the Cliff’s Notes version: Super fast. Pantry ingredients. No Bake. One bowl. One pan. Fridge. Fudge. Bonus points: pair it with relaxing, soothing, digestion-friendly lemon-ginger tea for the perfect evening snack. I know, I know. I had you at fudge. 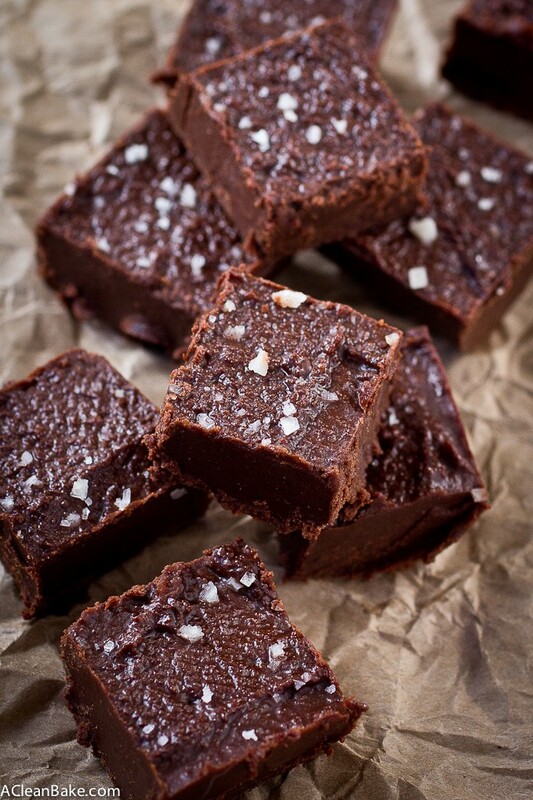 Not that this fudge isn’t everything, but I assume you’ll want morning and afternoon snacks too, right? Easy 5 Ingredient Tahini Fudge (Gluten free, paleo, vegan and low carb) - the easiest (and healthiest) dessert you'll ever make! Lightly grease an 8.5" loaf pan and set aside. In a microwave safe bowl, heat the chocolate and coconut sugar on high in 30-second increments (stirring in between) until both are melted. There should be no grittiness left from the sugar. Stir in the tahini, oil, vanilla and salt. Pour the batter into the prepared pan and smooth into an even layer. Sprinkle additional salt and/or sesame seeds evenly over the top (if using). 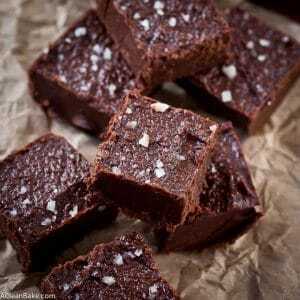 Refrigerate or freeze until solidified, then cut into squares to serve. Keep refrigerated or frozen in an airtight container. Serve cold. I make a similar version of this in my Blendtec Twister jar. I use a little liquid instead of oil, will have to try that instead. The heat from the motor cooks the tahini just a little and completely changes the taste of the brownie to really scrumptious. Oh, cool! I’ve never tried a blendtec. I love the idea of toasting the tahini a little! This fudge >>>>>>life! The fudigness of this fudge is unreal! I love the addition of tahini! omg nora, stop. 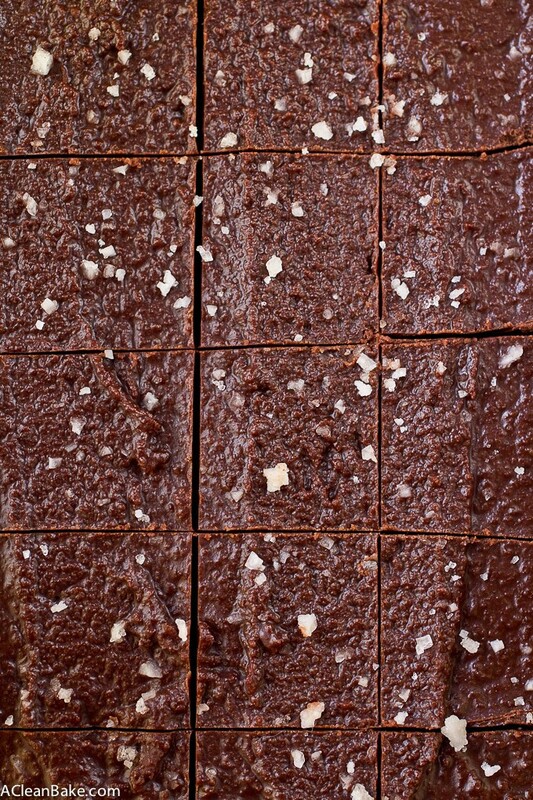 you do not need to apologize for having “too many” chocolate recipes on the blog. is that even possible? yes to the dark chocolate in the winter months. i think we could all use a lil bit of fudge to keep us goin’. hope you’re doing well! OK, I promise never to apologize for too much chocolate again! 😉 Hope you’re doing well, too! Let’s grab lunch soon! I was JUST talking to my friend tonight about I feel tahini is trending as an addition to desserts! Oh it definitely is! I hope you get a chance to try this one! NORA! 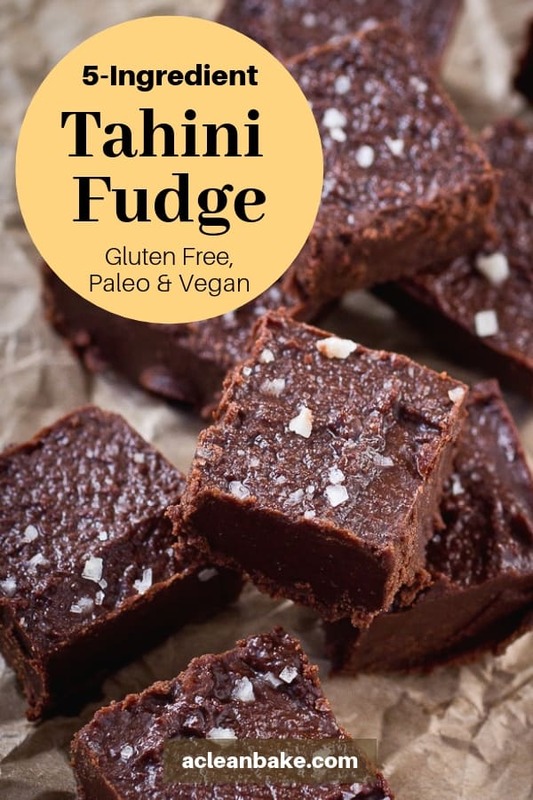 I am tahini obsessed… and I need this fudge in my life, like yesterday. When will this heat end?! You said it! I am tahini obsessed too!! Have you see the new tahini at Trader Joe’s?? It’s CHEAP! Well, by tahini standards. Now that the heat is finally starting to let up, you can make this without it melting in your hands! Woohoo! I tried this today, I love the taste however mine had a lot of oil separated from the batter, it was not a smooth batter. Any idea why? Thanks for the recipe. Hi Doga! I’d guess that your tahini may not have been mixed well enough. Was it very separated to begin with? In the future, I’d recommend making sure your tahini is well mixed before measuring, and if the batter seems runny in the food processor, you can add an additional couple of teaspoons of cocoa powder to soak it up. Wow. 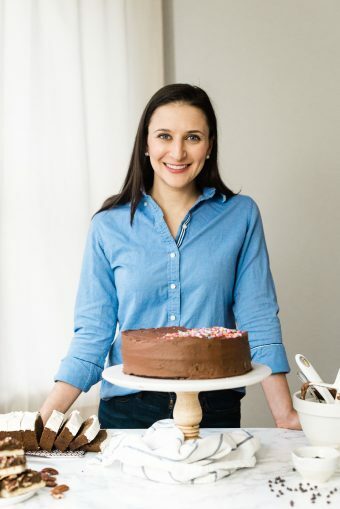 I was looking for Whole Life Challenge compliant treats with tahini since it’s been a constant food craving … these are so unexpectedly delicious (and that’s coming from a gal who’s done a lot of take dates, blend with chocolate, blah blah blah stuff). Super melt in your mouth, and not as cloying as many of the date-sweetened recipes I’ve tried. I sprinkled with a healthy dose of sea salt and sesame seeds. Thanks for the great recipe share! Love some fudge. This looks great, thanks for sharing!